I’ve been considering for some time now to create a merge tool specifically suited for debian/changelog files. My goal was to let Git use it automatically thanks to gitattributes. I’ve just gone ahead, so let me introduce you git-merge-dch. Grab it with git clone git://git.debian.org/~hertzog/git-merge-dch.git, you can build a package if you wish. Beware, you need to have a dpkg-dev 1.15.5 that is not yet published (so you need to build dpkg from its git repository, git clone git://git.debian.org/dpkg/dpkg.git) as I rely on features that I introduced recently… you will also need the libalgorithm-merge-perl package. Now you can safely maintain two branches of a package with changelog files evolving separately and merge one into the other without creating undue conflicts. Suppose you created an experimental branch for version 2.28 (you use a version 2.28-1~exp1) when 2.26.2 was current stable in the master branch. In the mean time, 2.26.3 got out and was packaged in master. Next time you merge stable into experimental, the changelog entries for 2.28 and 2.26.3 won’t collide despite being at the same place in the changelog file compared to the common ancestor. Let’s continue with this example, 2.28 is out. Instead of adding a new changelog entry with “New upstream release” without further changes, you keep the current changelog entry and simply change the version into 2.28-1. While preparing this you discover a branch with fixes that was based on 2.28-1~exp1, if you merge it it will reintroduce a 2.28-1~exp1 entry that you don’t want. Fortunately you can use the --merge-prereleases (-m) option of git-merge-dch so that it strip the prerelease part of the version string and considers 2.28-1~exp1 and 2.28-1 to be the same entry really. The only limitation is that this merge tool will remove any lines which are not parsed by Dpkg::Changelog (and which in theory are not supposed to be there). Feel free to test, share your comments, report bugs and send patches! Update: the script has been merged in dpkg-dev (>= 1.15.7) under the name dpkg-mergechangelogs. Pierre Habouzit came up with something similar almost 2 years ago now. 🙂 I wonder if there’s soom room for consolidating any differences in the two approaches. Pretty please, you, random packager :-), do not attempt to package this as a separate package. The most appropriate place is to submit it as an add-on for git-buildpackage. @James, a pity that his script did not get announced/publicized a bit more. @Stefano, it’s perl so I doubt that the git-buildpackage maintainer will like it. 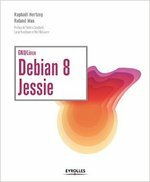 In any case, it’s not yet ready to enter Debian, it depends heavily on dpkg-dev perl modules whose API are not officially stable. I’m working on creating a libdpkg-perl but I’m not there yet. Also it can be used outside of git despite its name so I’m not yet sure. I might want to rename it and keep it separate. This tool seems very interesting. I hit the 3-way merge of Debian changelog files problem when I’m backporting some of my packages. I will look if this tool can merge testing and backport changelogs correctly. including this in git-buildpackage would be a bad thing.. it should be included in devscripts with a more generic name. We need a generic 3-way merge tool for changelogs for all developers, not just git users.